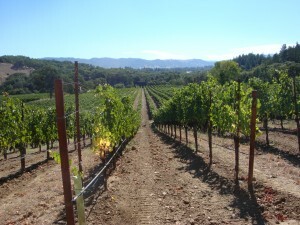 This easily accessible region in Northern California is filled with quality wine, delicious food and friendly people: the area around Ukiah and Hopland, also known as “Upper Russian River Valley.” Coming here sometimes feels like a nostalgic trip to an old-fashioned farming community where everyone knows each other and they welcome visitors with charm and hospitality. 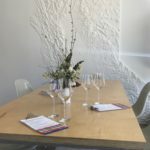 It’s easy to get to this part of Mendocino County (just drive up Highway 101) and most of the tasting rooms are either on the highway or fairly close to it. In fact, some of the tasting rooms are less than 20 feet from the highway. Also, Ukiah and Hopland are only about 14 miles apart so you should have plenty of choices to base your lodging at. Destination Hopland – non-profit organization with the mission of educating people about the unique agricultural and tourism attractions around the greater Hopland area. Mendocino WineGrowers, Inc. – An alliance of grape growers and vintners working together to promote the grapes and wines from Mendocino County. Ukiah Visitor Center – Visitor center in downtown Ukiah which is open 9 am to 5 pm, Monday to Friday, at 200 South School Street (707-467-5766).